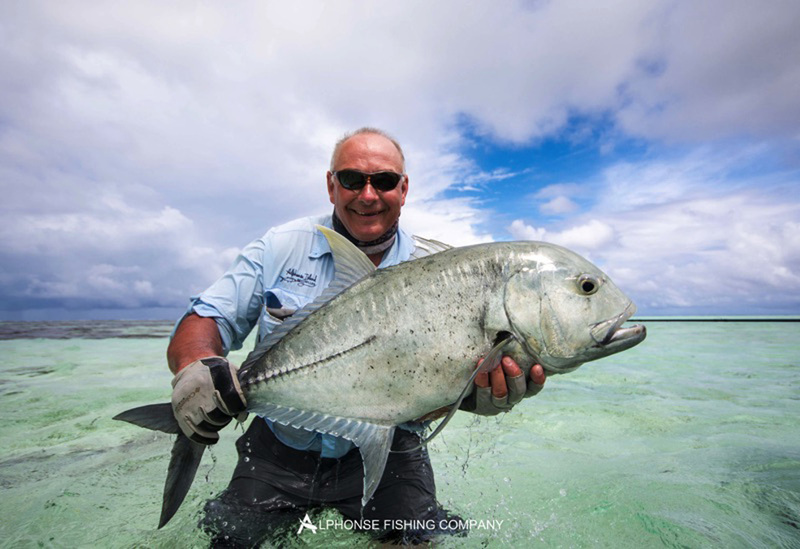 With the festive period over, the New Year was now in full swing with a full complement of eager fishermen looking forward to kicking off the 16th week of the Alphonse Island 2015-16 season. 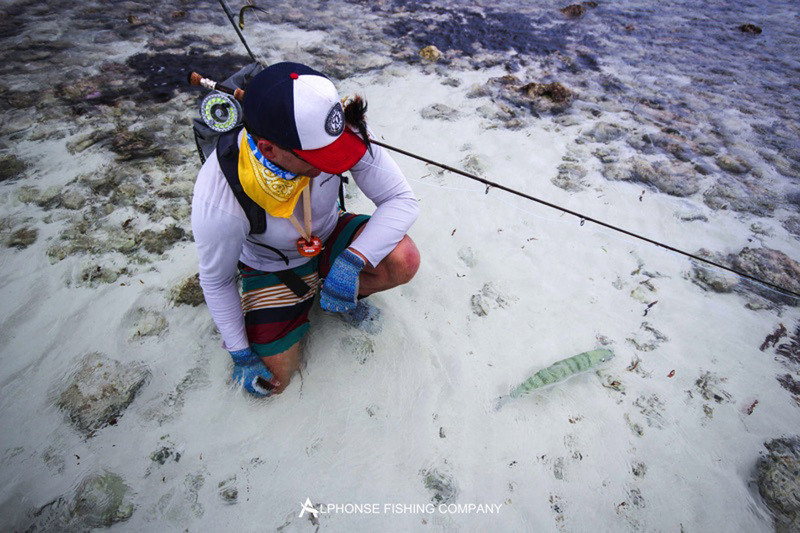 Bonefish Sunday or Sunday Fun day as we like to call it on Alphonse Island is generally the way the guides like to start things off with new arrivals; blowing out the cobwebs, getting the eyes adjusted and bending the rods for a teaser of what is yet to come. 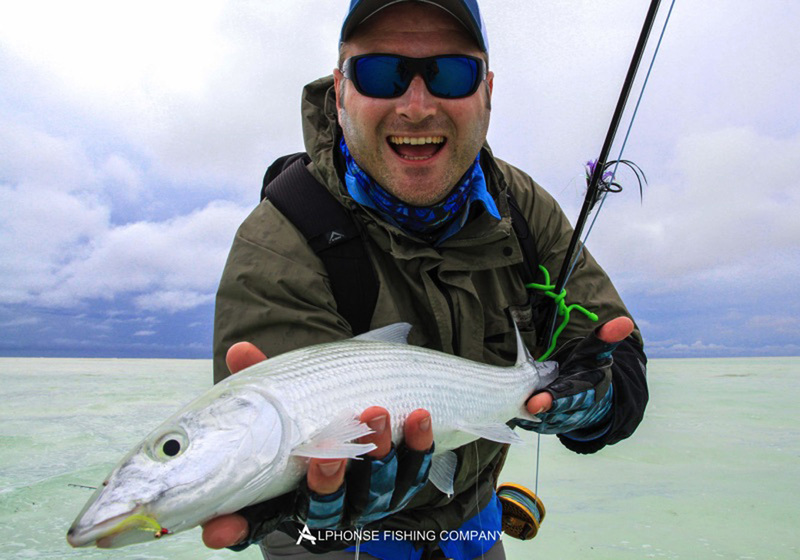 With some great bone fishing tides at the beginning of the week the mission was accepted and everyone headed across to St François with one thing on their mind, Bonefish. Unfortunately Mother Nature decided to grace us with some unsettled conditions and opened the sky to a few rain showers. However, with this team of anglers, their moods were high and no amount of rain was going to lower their spirits and prevent them having a great week of fishing. Jonathan Stott, a boisterous return guest of ours enjoyed a great first week and stayed for another. 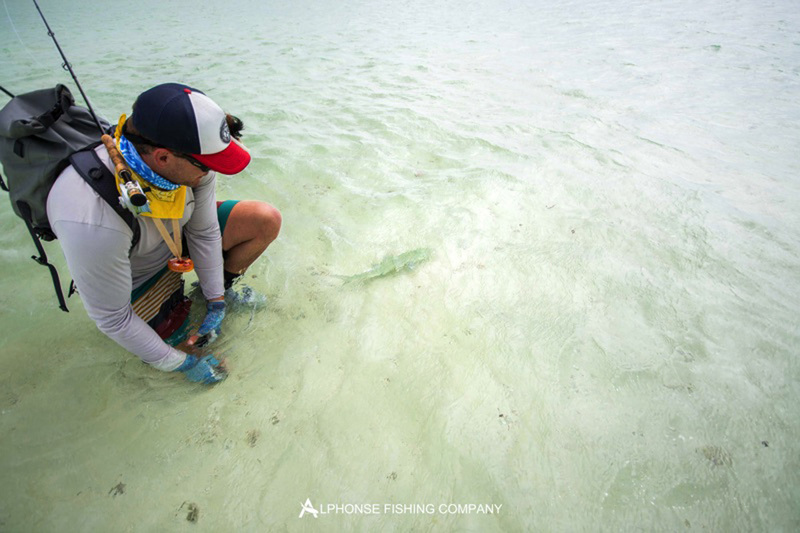 On changeover day he decided to sneak around Alphonse Island to see what was on offer. After a relaxed lunch at the hotel the second half of the day saw him land two beautiful GT’s. This awarded him the bragging rights for the first evening and showed everyone how it should be done. As the week progressed slowly but surely the numbers started rising and the angling bell was getting worn out. 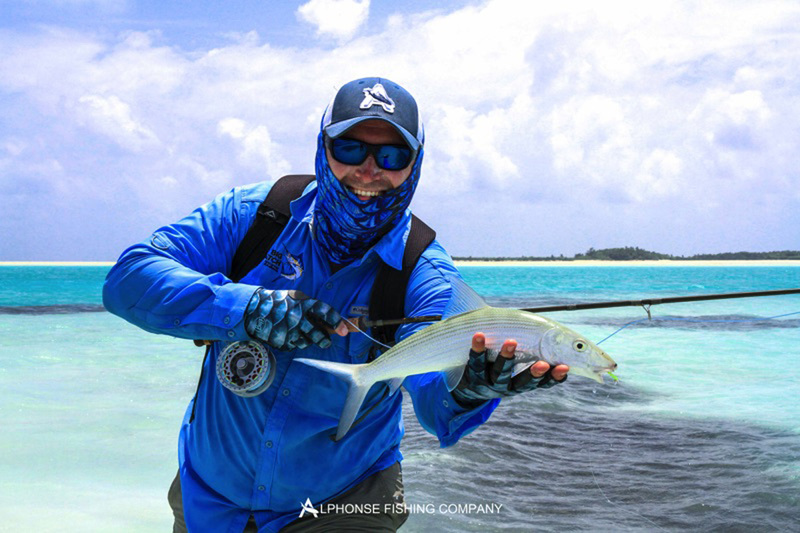 There were many new members to the 20 plus bonefish club this week. 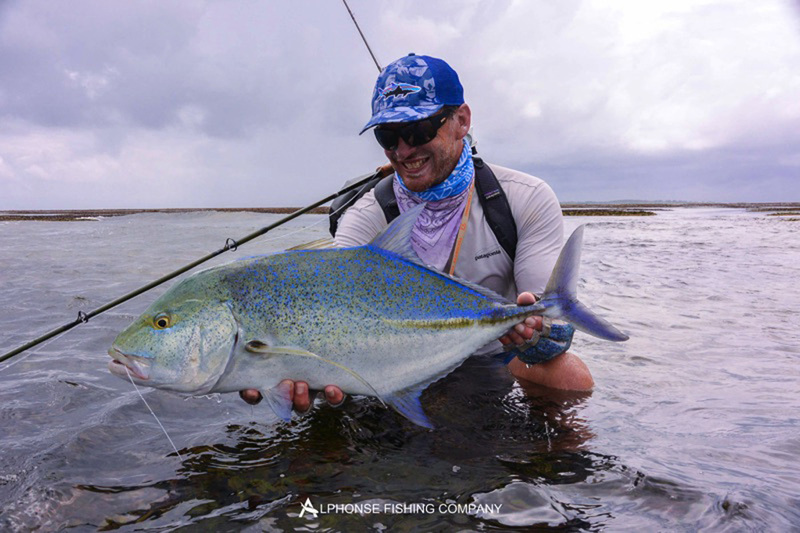 Justin Kemp on his second trip out to Alphonse, was on a mission to settle the score. 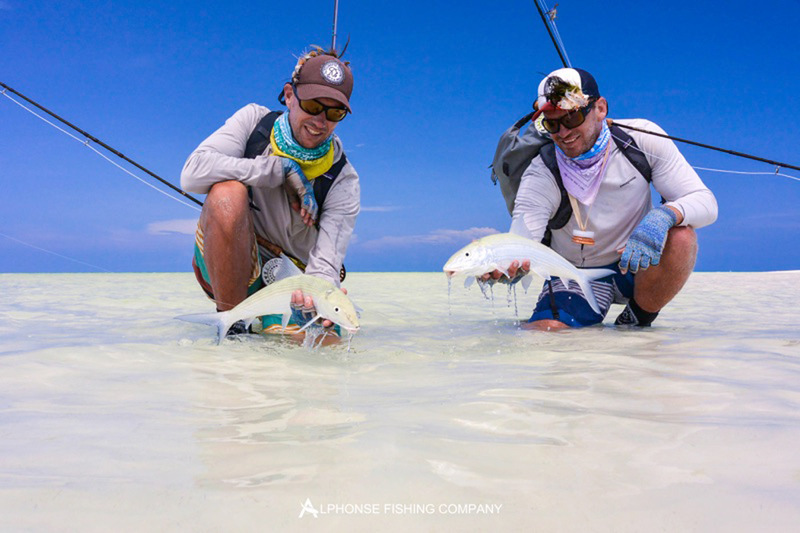 After being one of the champions of the 20 plus team he only had two species left that he needed to tick off, a Triggerfish and a GT. 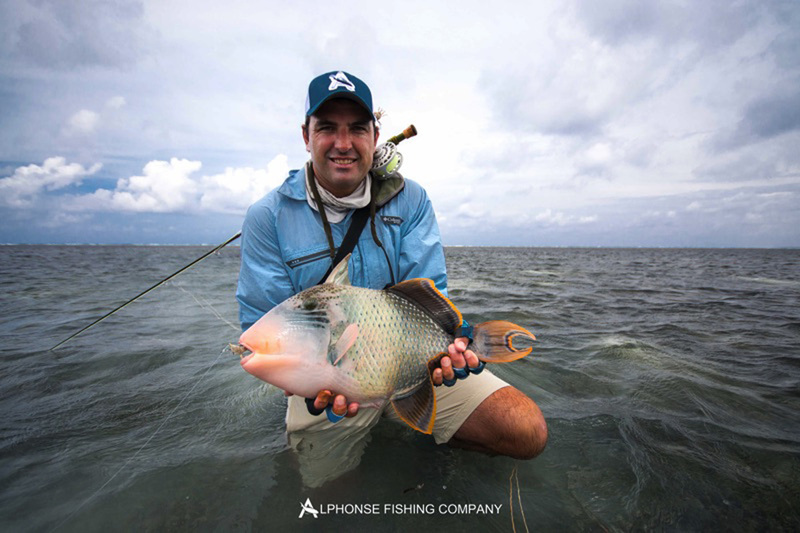 Halfway through the week he managed to “Ring the Bell” with an impressive Yellow-margin Triggerfish and a striking GT. Next to catch a triggerfish was Keith Clover with another fantastic Yellow-margin which he tussled with in the surf. Jonathan Stott, ultimately should be recognized as the Trigger champion after landing the fifth Yellow-margin of his stay. Matt Ferrey was next to be called up when he tamed a resident trigger called old Moose that had been around the block a few times. 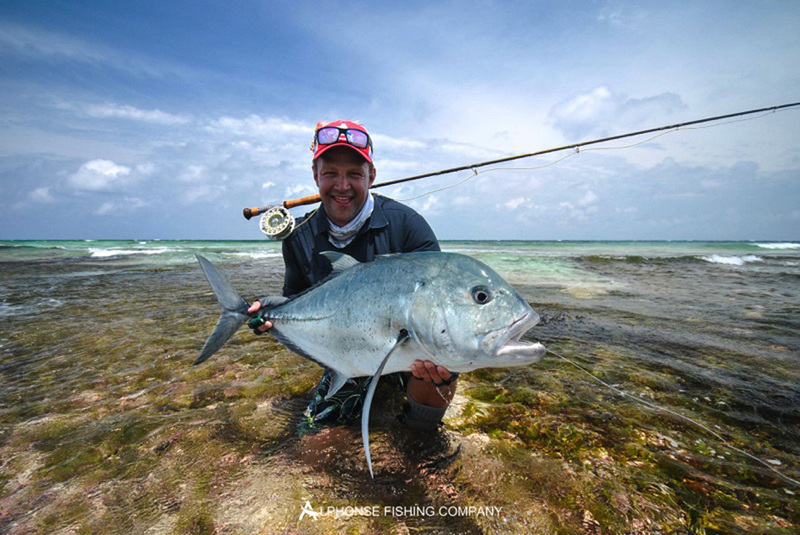 The GT fishing was good this week with lots of fish around to be thrown at. However only a few guys managed to get the job done. 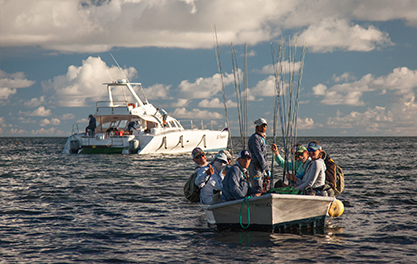 Ray Cadiz and Dave Christie headed out into the deep blue to see if they could tame the mighty sailfish and they managed to get it done. The half-day session saw them land 3 fish; Dave with two and Ray with one. 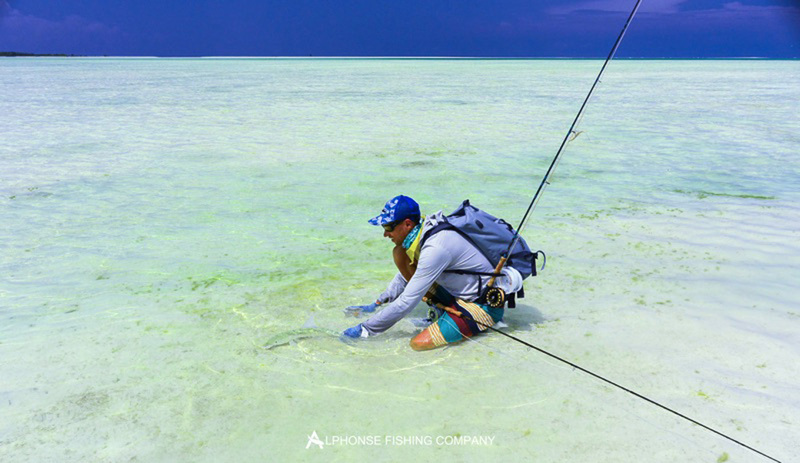 They then proceeded to finish off with a bucket full of bonefish at the end of the day to secure their triple ‘Bills and Bones Slam’. 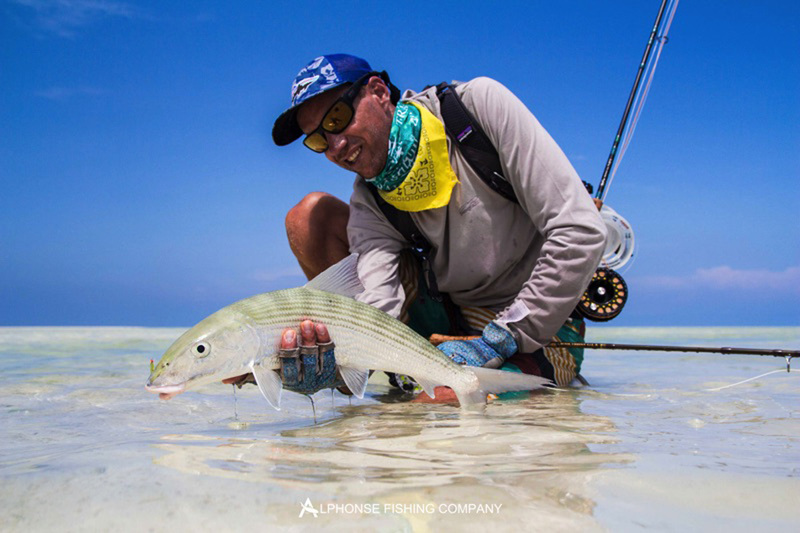 Keith Rose-Innes ventured out for a day on the flats and made himself noticed by landing a ‘Flats Slam’ on his first day out, a great wise trigger, a perfectly sized GT and of course a bonefish.